DUPLI-COLOR Profi assortment is the perfect supplement for every craftsmen. It saves equipment, time and therefore a lot of money. 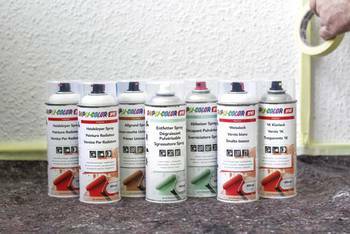 DUPLI-COLOR Profi forgives the small mistakes: You want to paint a radiator without removing from the wall? Take DUPLI-COLOR Profi Radiator Spray! You forgot to paint a small spot on a window? Take DUPLI-COLOR Profi White Lacquer Spray! You want to clean a small spot fast and thoroughly? Take DUPLI-COLOR Profi Degreaser. 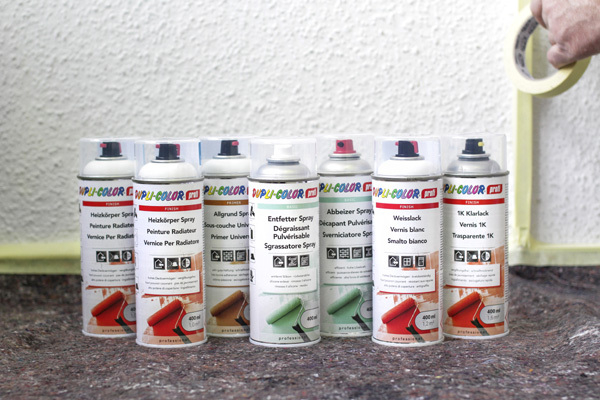 DUPLI-COLOR Profi provides a solution for every instance!